A photo journalist was injured after protesting devotees targeted media persons at Sabarimala Tuesday morning. 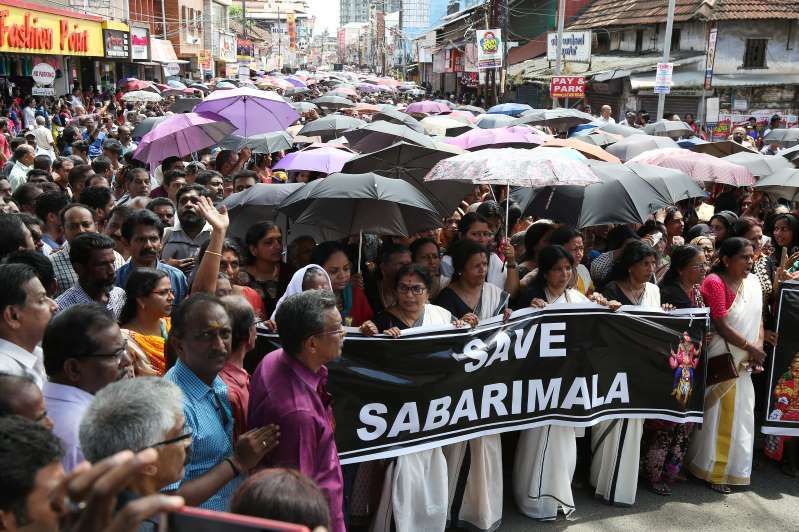 Hundreds of protesters gathered at Sannidhanam or the inner courtyard, after reports of a woman devotee, suspected to be in the menstrual age, tried to enter the temple. The police have confirmed that the woman is 52 and had come to the temple with her son. The two have been taken to the police station. No woman in the age group of 10-50 years have been able to visit Sabarimala temple since the top court's order on September 28.